Mantra 2 Bond Street Sydney offers 4.5 star luxury modern studios, 1, 2 and 3 bedroom self contained apartments, perfectly located in the heart of the Sydney CBD, close to Sydney Harbour, the Rocks and Circular Quay. Ideally situated for the leisure and corporate business traveller alike, the Mantra 2 Bond Street Sydney Apartments are close to Sydney's premier shopping and financial precincts. Nearby attractions include the Sydney Opera House, Pitt Street Mall, Darling Harbour, Queen Victoria Building, the Australian Museum, Botanic Gardens and The Museum of Contemporary Art. All types of travellers can take advantage of the discount accommodation at the Mantra 2 Bond Street Sydney, as well as the range of modern amenities including lounge bar, business centre, direct internet access, guest laundry, gym & fitness equipment, lift, restaurant, room service, spa, outdoor swimming pool, tour desk, airport shuttle, security, 24 hour reception, baby cots available, babysitting service and daily housekeeping. Further facilities and services include 24-hour reception and check in, concierge, room service, express check in and check-out, undercover carparking, same day laundry and valet dry cleaning service, baby-sitting service, FREE DVD hire, security, daily housekeeping, car rental, airport transfers, restaurant charge back facility with several nearby restaurants, luggage storage, lift/elevator, cot hire and tour desk. Perfect for overnight, short-term and long-term business corporate and leisure travellers, the Mantra 2 Bond Street Sydney Apartments offers guests sophisticated, modern and comfortable accommodation right in the heart of bustling Sydney. Nearby Attractions : The Mantra 2 Bond Street Sydney is within easy walking distance of The Rocks, Circular Quay, Sydney Harbour Bridge, Sydney Opera House and Darling Harbour. The hotel is also surrounded by Sydney's best restaurants, nightlife and shopping. Wynyard underground Train Station is opposite the hotel providing transport to Sydney Airport and the Telstra Stadium at Homebush. You can take a five minute walk to Circular Quay and enjoy one of Sydney's famous ferries. It's the perfect spot to see everything that Sydney has to offer. 1 Bedroom Apartment + Study : Sleeps up to 3 guests on 1 Queen Bed + 1 Sofa Bed Extra. 1 Bedroom Queen Apartment : Sleeps up to 3 guests on 1 Queen Bed + 1 Sofa Bed Extra. 2 Bedroom 2 Bathroom Apartment : Sleeps up to 5 guests on 2 Queen Beds + 1 Sofa Bed Extra. 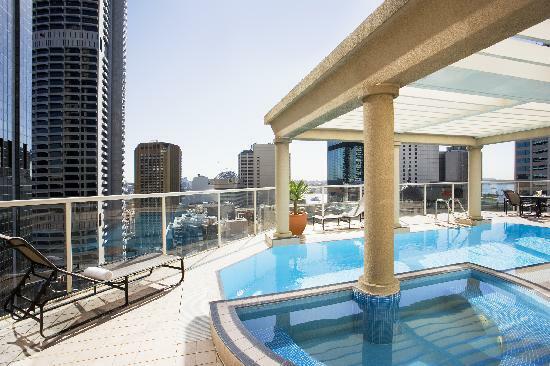 3 Bedroom 2 Bathroom Penthouse : Sleeps up to 6 guests on 3 Queen Beds. Studio Queen Apartment : Sleeps up to 3 guests on 1 Queen Bed + 1 Sofa Bed Extra.